Jackie Fo: A Queen Party! Happy Friday! It was a long week and I am glad it's almost over! When I received Rachel's order for a Fo Fabulous Custom Party Package, I knew I would have fun with this one! Rachel's boyfriend David is obsessed with all things Queen (the band) and Freddie Mercury, so naturally, she wanted to throw him a Queen themed birthday party! This was such a fun party to research and Rachel did an amazing job executing all of the ideas and taking detailed party pictures for me. This was DEFINITELY a party fit for a Queen (fan). Hee hee. Rachel assigned each table a famous Queen song. 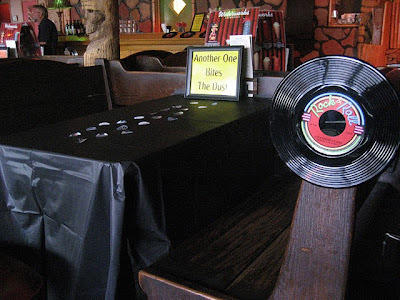 Wouldn't you have liked to sit at the "Another One Bites The Dust" table? Or the "We Are The Champions" table? I created custom party confetti for Rachel and sent it down to Florida for the party! 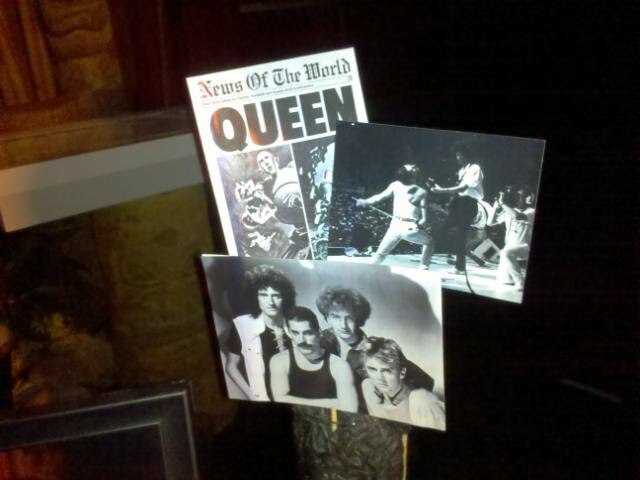 The confetti had funny pictures of the birthday boy as well as Queen and Freddie Mercury pictures. 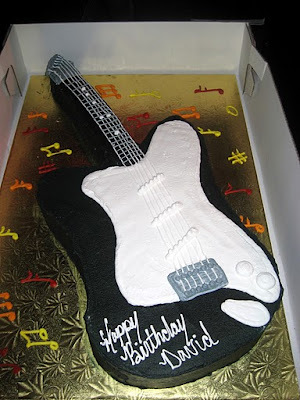 Speaking of David the birthday boy, Rachel created a great cake table filled with a picture of David, plastic records, Queen photos and of course, a guitar cake. For the large Queen pictures, Rachel used the same technique I used for Brooke's Baptism. Rachel filled a glass jar with tissue paper. For the pictures, she printed out large pictures and glued them to skewers which she then stuck the skewers in the tissue paper. A perfect display! For the party favors, Rachel ordered custom magnets from VistaPrint and put them in clear bags filled with candy for guests to take home. My favorite aspect of the party was the bar area (now that I think of it, that's usually my favorite part of any party). Rachel featured Freddie Mercury's favorite cocktails and even created awesome Freddie Mercury drink stirrers! I LOVE the stirrers! "There was not 1 person that didn't make a comment about the decor. 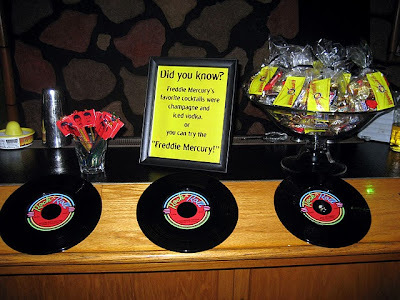 In fact, the bartender took the Freddie drink stirrers and several party guests took a piece of the decor items such as song photo frames, confetti, and records." I know you want to throw a fabulous party, but you may not have the time to research all the ideas, so let me do the work for you! You can order your package HERE and then shoot me an email at Jackiefo4@gmail.com with the party details. You will get your customized package within a week of your order! And here's a secret - The party packages will only be priced at $30 for a few more weeks. Get 'em while they're hot (and before prices go up)! Jackie!! This is awesome! I love seeing your ideas, and then the real party bringing them to life! Everything looked amazing! What a cool concept! Another job well done lady! Job well done! Great work! 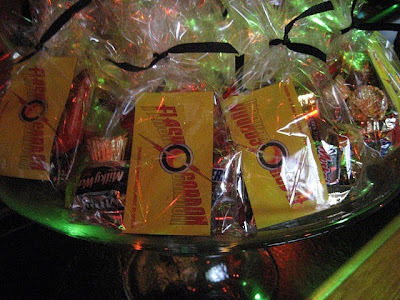 For online party supplies NZ, visit http://www.partybox.nz/.